We’re the type of family that could live at the beach, literally, on the beach, in the sand all summer. I’d eat, sleep, and lay there on the burning sand soaking in the sun forever if I could. We took a trip last year to Top Sail Beach ~ it was heaven. The beach gives such a relaxing vibe. It’s peaceful. No where to be, nothing to do. It relieves all urgency, all worries, every care in the world is evaporated at the beach. The sounds: the seagulls flying overhead, the breeze whistling through our hair, the ocean crashing onto the shore, the crabs scurrying across the sand, the laughter from children, the casual conversations of families, umbrellas flapping wildly against the wind, and ships floating slowly by with friendly guests. The smells: coconut oils and sprays, sunscreens, fresh laundried towels, salty air, deliciously smelling shampoos as hair blows in the breeze and fresh everything. The feel: crisp burning sun against our skin, soft warm sand sliding between our toes, rough seashells hitting our toes in the ocean, icey cold ocean water splashing against our skin, wind whipping across our faces and through our hair. I hope my children grow to appreciate the peacefulness and calmness of the beach as I have. For there is nothing like making memories every summer with those you love. 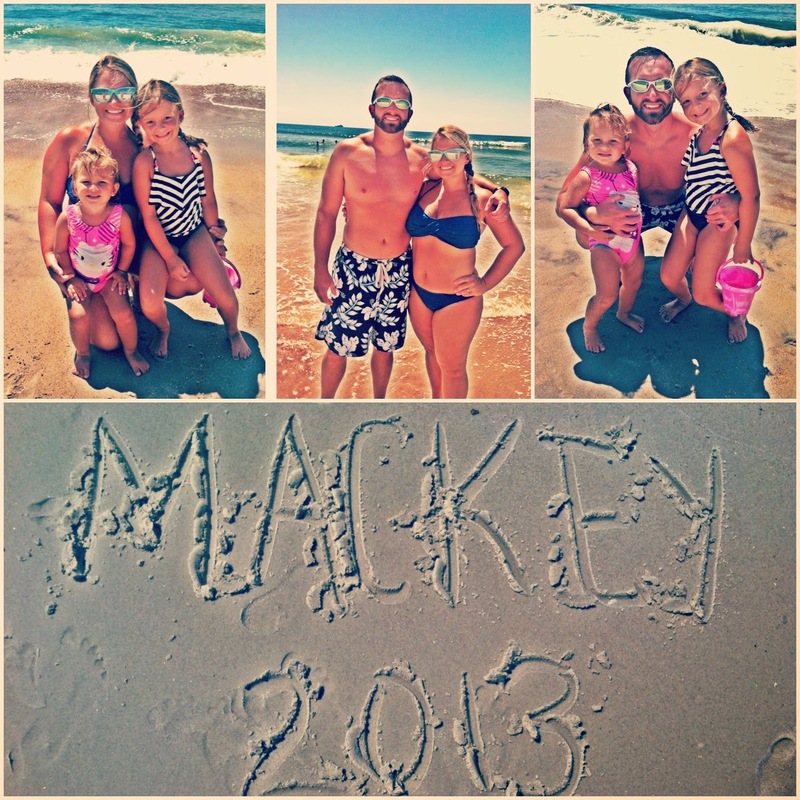 I had my very first beach vacation to the beautiful Outer Banks in NC. I loved the sand between my toes and the cool breeze from the ocean. Something about the ocean air made me sleep very well! We went shopping, walking on the beach, swimming in the pool and I got to play in the sand. The house we stayed in was really cool too! It had 3 floors including a hot tub on the second floor, a game room on the first floor and best of all a swimming pool too! Mommy says I was like a little fish in the water. With my three bathing suits and my cool new float (and ofcourse gobs of sunscreen from Mommy) I was ready to kick my legs in the water.